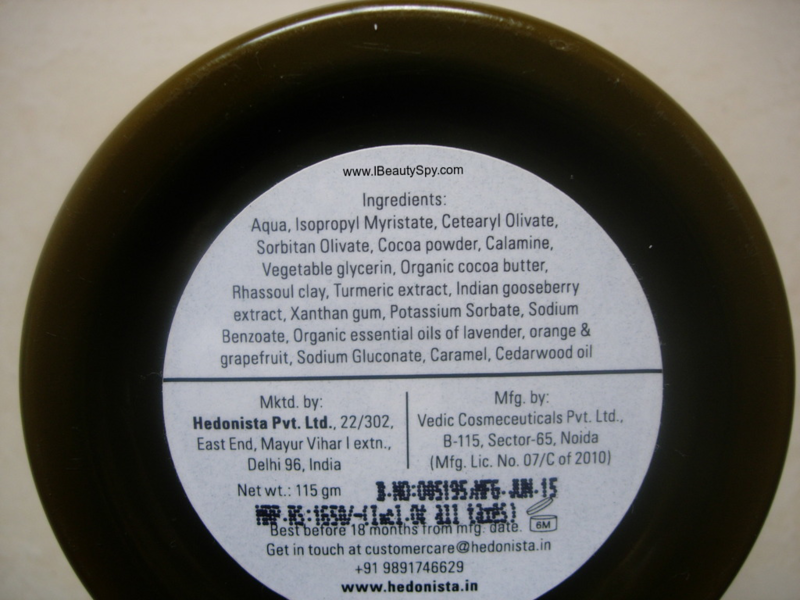 Here is the second post in the series of review of Hedonista products. If you haven’t yet checked out my previous post on Review of Hedonista Desiccated Coconut & Strawberry Fresh Face Scrub, do check it out in the above link. It is a super-duper lush snack for your face 😋. 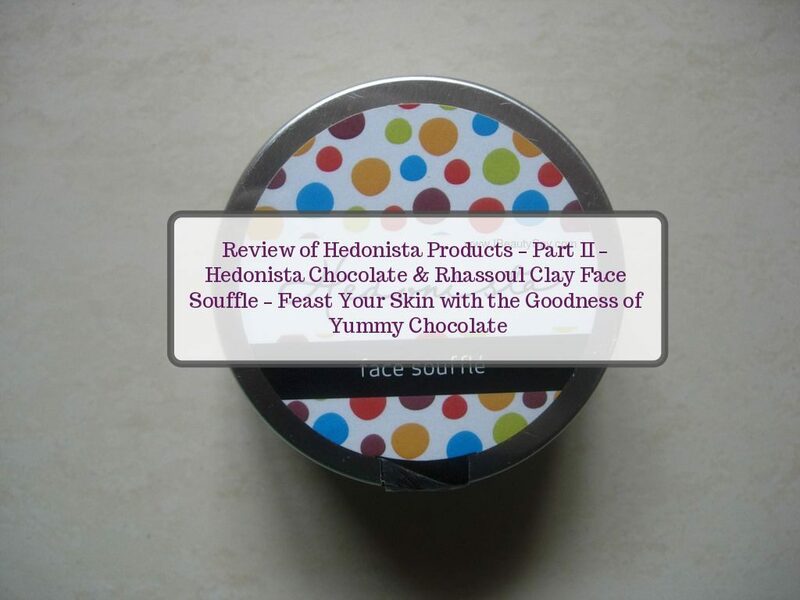 Today am going to review the face pack – Hedonista Chocolate & Rhassoul Clay Face Souffle. Let’s see how it fares on me. 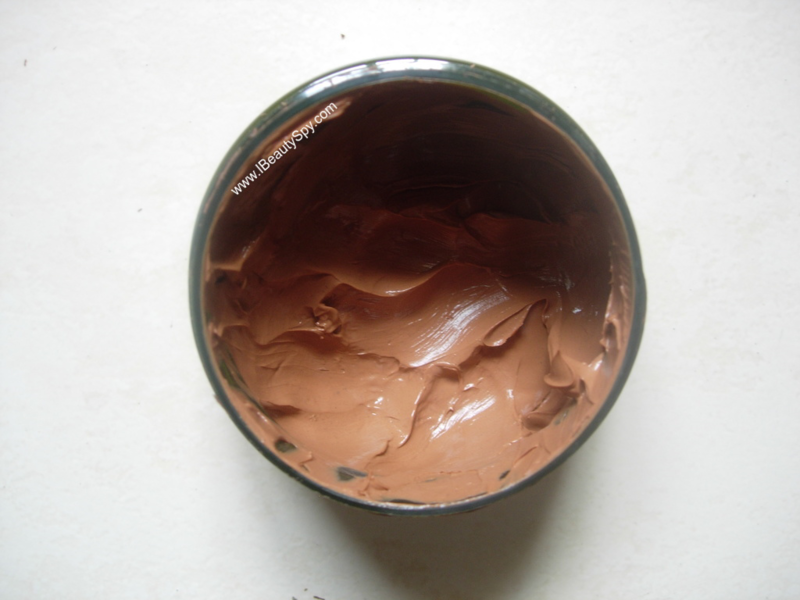 This decadent elixir of chocolate and rhassoul clay is an all natural face pack that cleanses your skin inside out, then imbues it with nourishment. Hedonista Chocolate & Rhassoul Clay Face Souffle comes in a fun-designed tub packaging. Inside there is a silver foil to protect the product which you need to tear open the first time. The tub is too big for travel purposes. I wish they come out with travel-sized versions soon. Hedonista Chocolate & Rhassoul Clay Face Souffle is easy to apply and spread on the face owing to its smooth mousse consistency. Only little quantity needed each time. So this big tub will last you for around 4 months easily. I keep it on for around 20 minutes and then wash off. My skin then feels so smooth and clear. The rhassoul clay helps to pull out impurities from deep within. Since it contains chocolate it also nourishes skin without drying it out unlike usual clay masks. 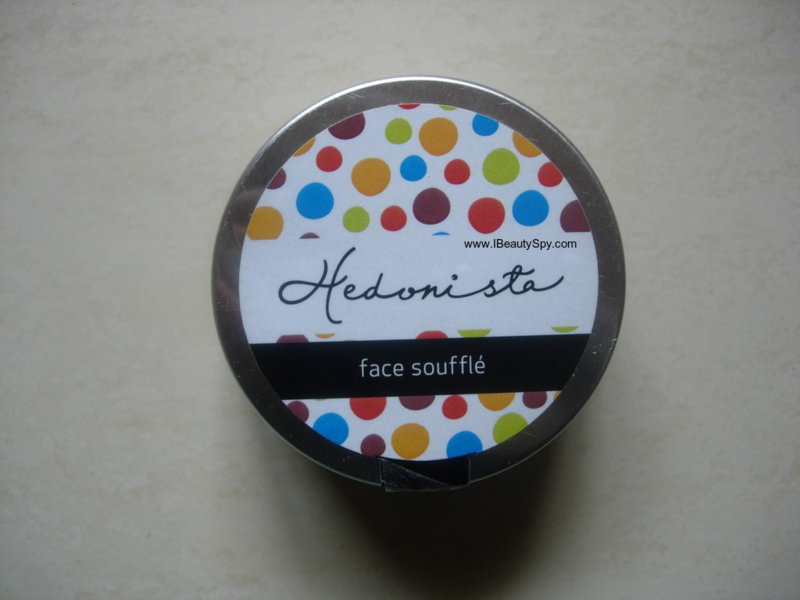 Hedonista Chocolate & Rhassoul Clay Face Souffle also helps to remove tan and makes skin brighter. It also tightens and firms my skin. Whenever I get a pimple or two, I just apply it as a spot treatment as it helps to subdue them if they are in the initial stages. But it might not work if the pimples are mature and in the later stages. I use Hedonista Chocolate & Rhassoul Clay Face Souffle 2 times a week and I have been loving the results till now. It has become my favorite go-to mask nowadays as it does multiple things and smells yummy too! This mask will suit all skin types. I like the fact that it contains only 2 preservatives – Potassium Sorbate, Sodium Benzoate – both are food-grade (they are used in food products to preserve them). Plus it also contains caramel. I have never seen caramel in any skincare product before 😍. * Smooth, mousse like consistency. * Delicious smell of chocolate and cocoa powder. * Only little quantity needed each time, so it will last long. * Rhassoul clay deep cleanses skin. * Chocolate nourishes skin without drying out. * Helps to remove fresh tan. * Subdues pimples if they are in initial stages. * No Parabens, Sulphates, Silicones, Artificial colourants or fragrance, Palm oil, Petroleum derivatives, Phthalates, Amines, PEGs, Formaldehyde. * Food grade preservatives only. * Travel-sized versions can be made available as this tub is quite big. Its not a must-have product. If you wish to try some gourmet, luxurious product, you can give it a try. No. There are so many new masks in the market which I wish to try. But I would like to try other products from Hedonista. 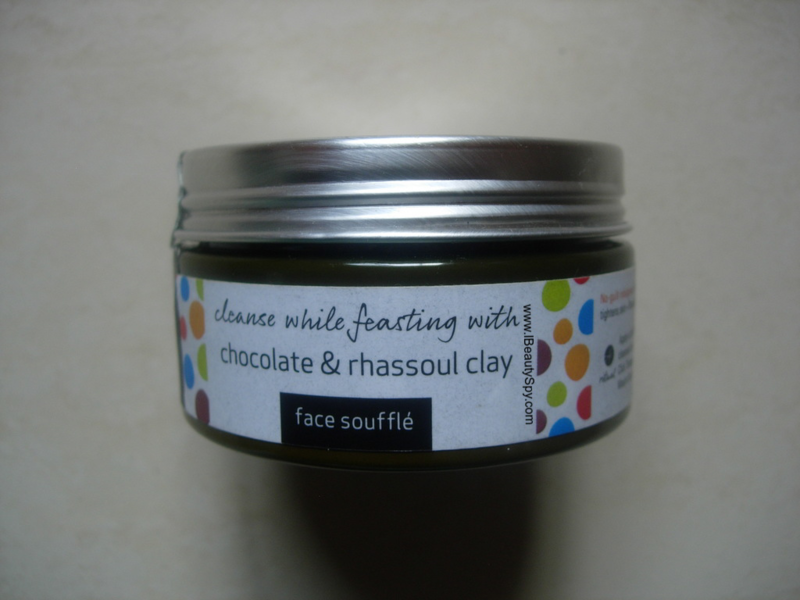 Overall, I would say Hedonista Chocolate & Rhassoul Clay Face Souffle is not a must-have product. It is expensive. If you wish to splurge on something luxurious, organic and gourmet, then you can give it a try. As claimed, it truly is a feast for the skin. It works pretty well and I have no complaints about it.